This innovative guide will be an essential addition to the library of any serious birder. It accurately describes every key plumage detail of all 1,300 species and sub-species that have ever occurred in Britain, Europe, North Africa and the Middle East - the region known to all keen birdwatchers as the Western Palearctic. Its level of detail is unprecedented for a book of this size, and it will be sought after by all bird enthusiasts. A large number of existing bird field guides cover Europe and the Western Palearctic. This, however, is a guide with a difference. It has no colour plates or illustrations, but instead its unique selling point is that for every species the detailed text lists the key characters of each recognizable plumage, including male, female, immature, juvenile, all subspecies and all other variations. This level of detail includes, for example, all eleven forms of 'Canada goose' and all nine forms of 'yellow wagtail' known in the region. In the past such in-depth detail has only been available in huge multi-volume tomes such as Birds of the Western Palearctic. The Advanced Bird ID Guide enables birders to take this information into the field for the first time. The detailed yet concise nature of the guide means that the original Dutch edition of this title became an instant classic when it was published in 2002. UK birders who know of the Dutch edition have been eagerly awaiting an English-language version for many years, so this is an exciting opportunity for New Holland in terms of publishing a cutting-edge bird book. 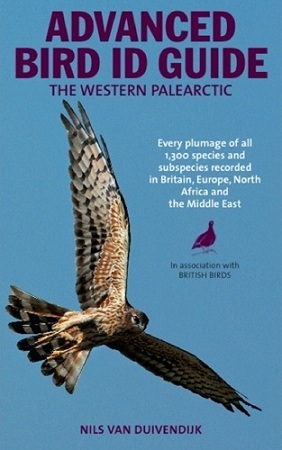 The book is endorsed by the renowned journal British Birds, which has been running for more than 100 years and which has a dedicated and enthusiastic readership. The author is an ornithologist based in the Netherlands. He is a regular contributor to Dutch Birding and other esteemed ornithological journals.